Not The Barnet Times: Have the Tories broken election law? The Barnet Bugle has posted the latest election leaflet published by the Conservatives in advance of the Brunswick Park by-election, to be held on 31st May 2012. 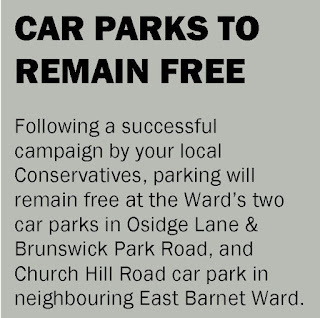 On the front page of the leaflet is a very clear message stating definitively that parking will remain free at both the Osidge Lane and Brunswick Park Road municipal car parks. 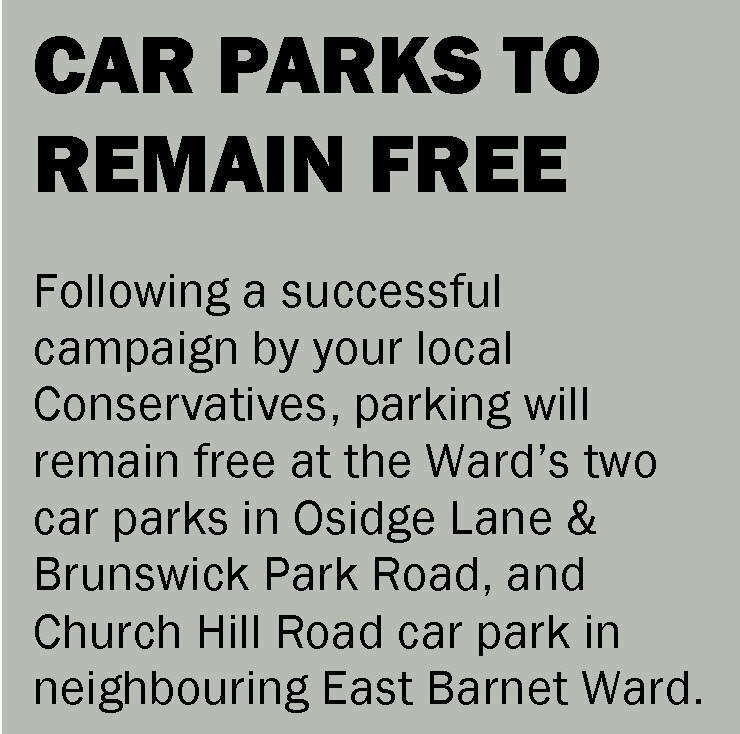 But the Barnet Times today reports that Cllr Dean Cohen has not yet made a decision whether these two car parks will remain free. He told the paper that a decision would not be made until next week. So if a decision has not yet been taken about Osidge Lane and Brunswick Park Road, it means that the Conservatives are distributing election leaflets with statements that they know to be untrue. Councillors now receive a minimum basic allowance of £10,597. It is arguable, therefore, that by publishing a false statement with the intention of procuring sufficient votes to win the contest, the Conservative candidate is seeking to gain a pecuniary advantage by deception. How fortuitous for the Tories that Labour are so totally inept, they probably won’t complain.